Excellent middle grade adventure adults will enjoy, too! Highly recommended. 14-year-old Benji is the man of the house while his father is away on a fishing boat earning money for the family. His mother takes odd jobs in town while waiting for his dad to return. Living on the Icelandic coast in a small shack is fraught with hardship, but Benji and his sister, Shay, love to spend time on the beach after doing their chores. Benji carries his sister everywhere since the accident that paralyzed her legs. One of their typical days of beachcombing ends with the find of a lifetime. 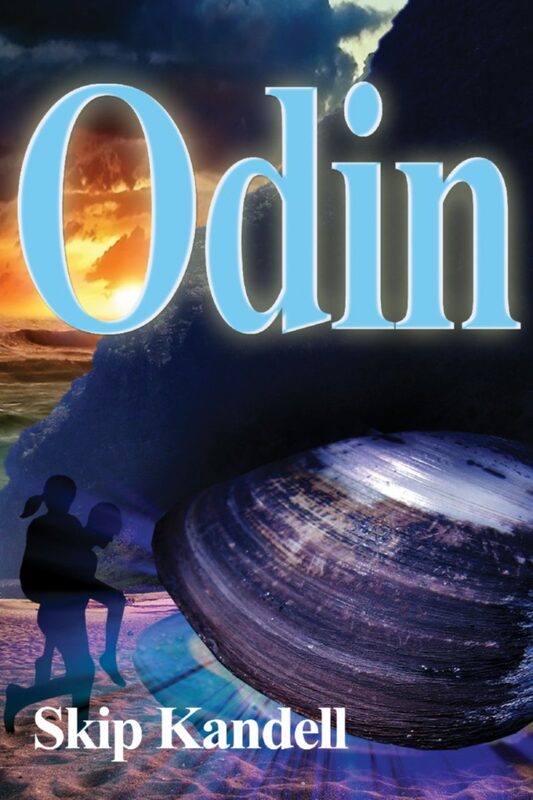 They encounter a life force emanating from within a giant quahog clam stranded on the beach. Their strange adventure starts with the discovery of ocean treasures on their shore to finding precious stones. The children divide their talents to help save their family and the life of a wonderful creature who will forever change their lives. Odin is a classic middle grade chapter book and a timeless tale of adventure, sacrifice, and success. Fitting well into curriculum to develop the personal skills and dispositions of wellness, responsibility, cultural awareness, self-direction, ethical character and good citizenship, Odin will provide discussion opportunities and study of geography, sea life and friendship.